Your furnace cannot operate properly without the positive pressure created by the draft inducer motor, which blows air through your ducts. 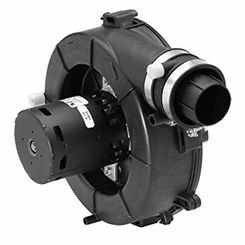 Stay warm in the winter with a replacement furnace inducer blower from the experts in heating and cooling at PlumbersStock.  Save on the best Meridian, Fridgidaire, and Ducane parts. If you have any trouble finding the right HVAC parts for your home improvement project, please contact our customer service through the chat feature, by phone, or email. What Is a Draft Inducer Motor? 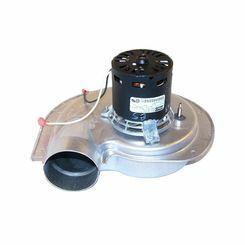 A draft inducer motor, sometimes shortened to an inducer motor, is a positive pressure blower that activates when you need heat distributed throughout your home. It works like this: Air is blown into the vent for about 30 seconds before the heating cycle begins. If the vent is clear, the inducer motor will then permit gas to be drawn in and light the flame. This is a fail-safe that prevents the combustible gas from getting out into your home due to a leaky vent. 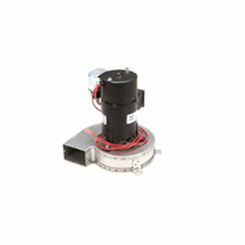 Once the flame is lit, the draft inducer motor provides constant oxygen for the flame. If the inducer motor is supposed to be running but the furnace senses it isn’t, the furnace will shut down. Some furnaces will try to kick-start the inducer motor multiple times before they shut down completely. Because this type of motor is categorized as positive pressure, if the inducer motor is broken or senses the vent is blocked, it will not permit heated air to pass out into your home. Similarly, if you suspect your inducer motor is the cause of your lack of heat problem, first check your vents for any leaks or blockages. Now, while this may not sound like much of a problem during the warm summer months, this is a serious problem that becomes clear during those cold winter months. Without a proper working inducer motor, heated air won’t be able to exit your furnace and disperse to the rest of your home. 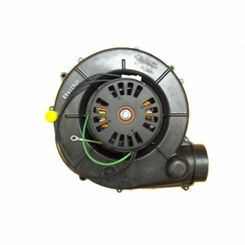 Until the motor is replaced, you’ll have to find heat using alternative methods. 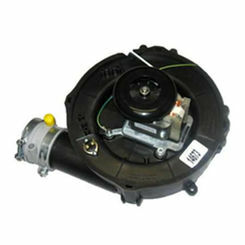 If your draft inducer motor has stopped working for whatever reason, replacing it seems the next logical choice. 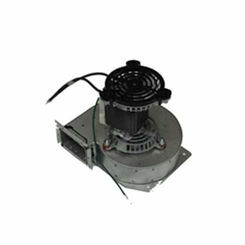 Unlike some other furnace or HVAC-related replacements, replacing an inducer motor is quick and simple. Doing this sort of replacement yourself can save you hundreds of dollars in installation labor from contracting a professional. 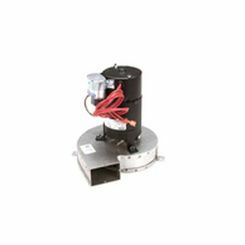 Below we’ve listed a simple and clean method of replacing the draft inducer motor on your furnace. Nut driver sizes may change due to the current inducer motor you have, but many of them require a typical 5/6 or ¼” nut driver. Disconnect the Wires – You’ll see two wires going into the inducer motor. 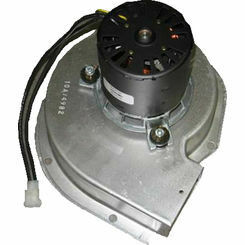 If you’re not sure what your motor looks like, search “inducer motor on FURNACEBRAND” to get an idea. Remove the Hardware – You’ll see a few bolts around the inducer motor. Remove these. 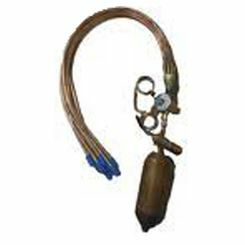 Pull Inducer Out – Your inducer should now be able to come out cleanly. 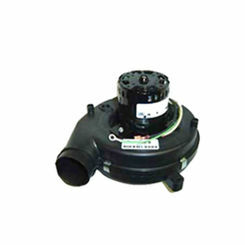 You may have a gasket attached to your inducer motor and if that’s the case, be careful not to damage it as a replacement inducer motor will not come with a replacement gasket. 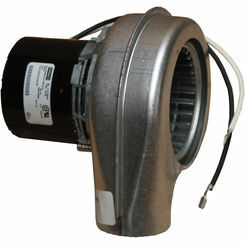 Here at PlumbersStock, we make it easy to shop for a replacement inducer motor for your furnace. We carry some of the biggest names in the business. 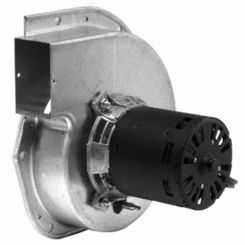 If you need a replacement inducer motor, why shop anywhere else? 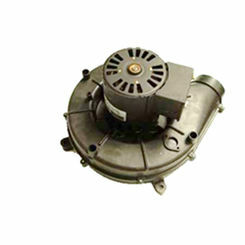 You won’t find a lower wholesale price for high-quality draft inducer motors anywhere online. Additionally, if you have any problems or require additional assistance, our customer service representatives are here to provide you with the courtesy, knowledge, and friendly customer service you deserve.